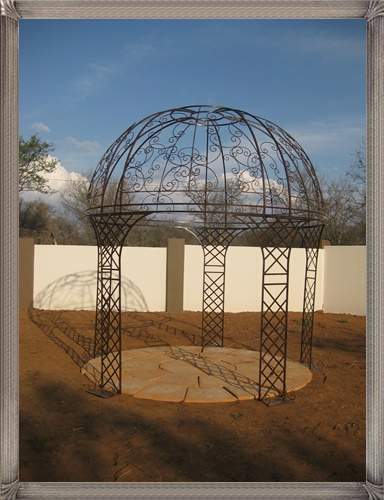 The Pergola/ Gazebo St Helena with 5 legs is one of our best sellers! It is an elegant and romantic pergola/gazebo. With a touch of something modern at the bottom and the classic part with all the scrolls on top.